Dogs Sleeping Forum • View topic - Dog's Football Thread Part Six. Dog's Football Thread Part Six. Re: Dog's Football Thread Part Six. It is old but it is beautiful!! I hope the scariest looking mascot in football (Kingsley) brings the Jags luck tomorrow. They should never have got rid of Jaggy McBee. 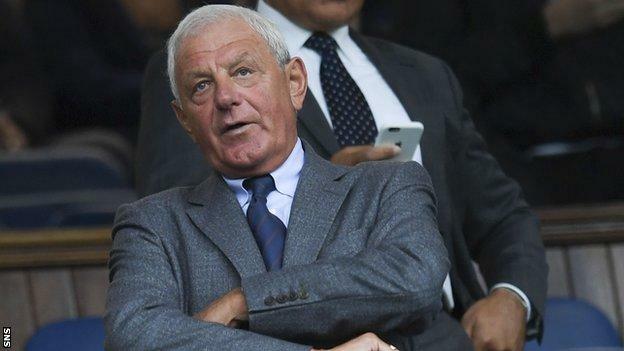 Sir Walter has said he won't return as Scotland manager. Walts had talks with the SFA and made his decision. Considering the Anti-Rangers bias at the SFA a former Rangers manager would never be a great contender. Unlike the one's before him, he wouldn't have a problem picking Rangers players. Sir Walter won the League ten times during his two stints at Rangers and also won Six Scottish Cups and five League Cups. He also won the FA Cup in England. He also led us to the Europa League Final. We're going to get stuck with Bawheid, who has been described as "Sexist, Racist and Homophobic"
That's hardly good for oor image. I mean Malky MacKay not Trapper John but I agree they are very similar. Sunny and wee Sunny are off to Wembley today for the London Derby!! Tottenham's new £23 million pound signing Lucas Moura is in contention to make his debut today. Toby Alderweireld, Danny Winks and Harry Rose are also available after returning from long term injuries. This is the first time the two clubs have met at Wembley since an FA Cup game in 1993. Spurs are unbeaten in their last eight games and are unbeaten in their last twelve home games. Arsenal are winless in their last fifteen EPL away games. Since Pochettino took charge ahead of the 2014/2015 season, Spurs have the best home record in Premier League matches between the current top six teams. Pep Guardiola wants a PGMOL refereeing meeting after claiming his players are being "Butchered"
He claims nine horrendous tackles this season haven't been probably dealt with. You would think the corrupt officials would have been handing out ten match bans for such behaviour. Or maybe a Sine Die? The last player in Britain to get a Sine Die was Willie Woodburn. "His name was Willie Woodburn and his crime was too much heart, he gave his all for Rangers on the field of Ibrox Park"
It was a disgrace the way Willie was treated. Hopefully the Jags will win today. If the scumbags get fucked out the Scottish Cup then there won't be any treble!! This was one of his misdeeds. In a Cup game against Stirling Albion in 1954, Willie was playing with a knee injury and one of the Stirling players went for it in a terrible way. So Willie stuck the heid oan him. Fully justified in my book. Yes it's a big day today, a 12:30pm kick off at Wembley will see Spurs play Arsenal in a game of huge significance for both clubs. Little and large Sunny will be finishing breakfast now before they set off sometime in the next hour on the tedious and awkward journey to their home from home. Their appetite will have been small as the fear and apprehension kicks in because they and all Spurs fans know that despite their blusterings, they are facing the deadly and mighty Arsenal and the outcome is far from clear. The best news for them so far today is the weather is cold but bright and sunny and looks to remain that way for the game, so fears of rain are far behind the intrepid Spurs fans. Spurs go into the game as favourites, 4 points clear of their rivals and reasonable home record, whilst the Gunners have suffered this season with a hideously poor away record, with just 3 away wins in 13 games, though still just keeping above the 6 defeats with 4 draws. Today is different though, a large capacity stadium means that Arsenal will have a lot more 'away' support, I put away in inverted commas because Wembley is like a second home to Arsenal and a very succesful hunting ground in the past few years. Since 2014, the Gunners have played at Wembley 9 times in competitive matches, winning all 9 games - so we are no strangers to the Wembley turf and it's wide open spaces. In a derby game which promises to be more fiercely contested than most others, with Spurs wanting revenge for the humbling they got at the Emirates a few months ago and Arsenal determined to re-start their season and challenge for top four with a victory today, this game is far from a foregone conclusion. PS. Just to show solidarity to a pair of football fans who show the love for their club by undertaking the arduous slog to Wembley on a cold day with the likelyhood of returning with tears in their eyes, I am just as just as nervous and full of trepidation as they are but at least my feet are warm. Arsenal's poor away record this season has really done for us and the annoying thing is it's quite out of character. In recent seasons we have maintained a reasonable, above average return on away matches, impressive in some cases. So as the chart above shows, we have already exceeded the number of away defeats in just over half a season than we had in all of the recent seasons past, bar one. Last season of course we lost out on top four with 7 away defeats - we are on 6 now so thats how important it is to go on an undefeated run until the end of the season. With a better return from away games this season say winning just 3 of those 6 we've already lost, then the Gunners would have 54 points just 2 points behind 2nd place Man Utd and 3 clear of 3rd place Liverpool.